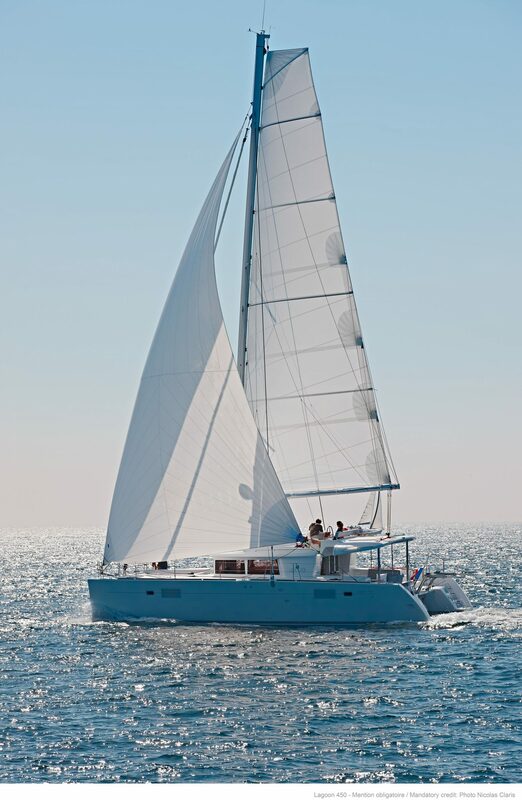 This fantastic New yacht arrives in December 2018 BOOK NOW! 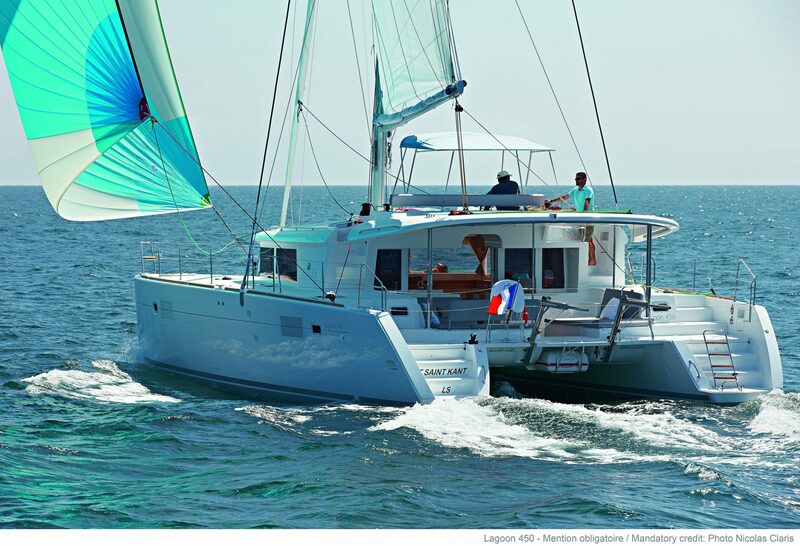 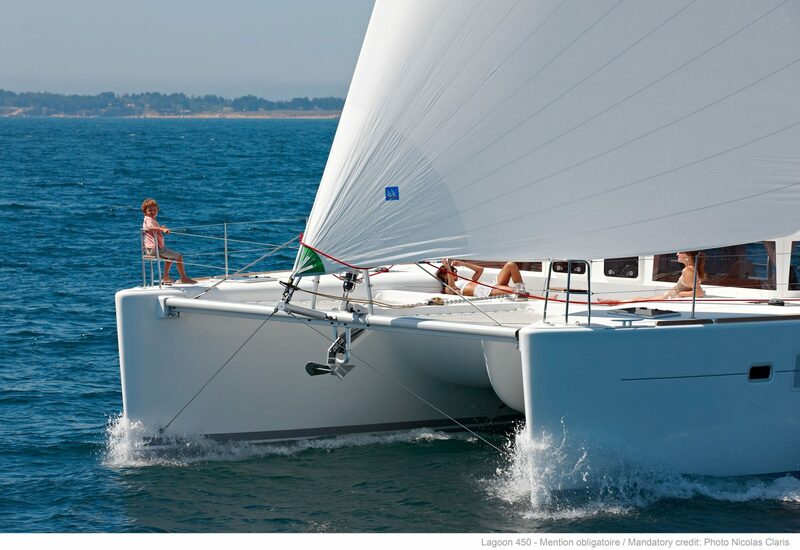 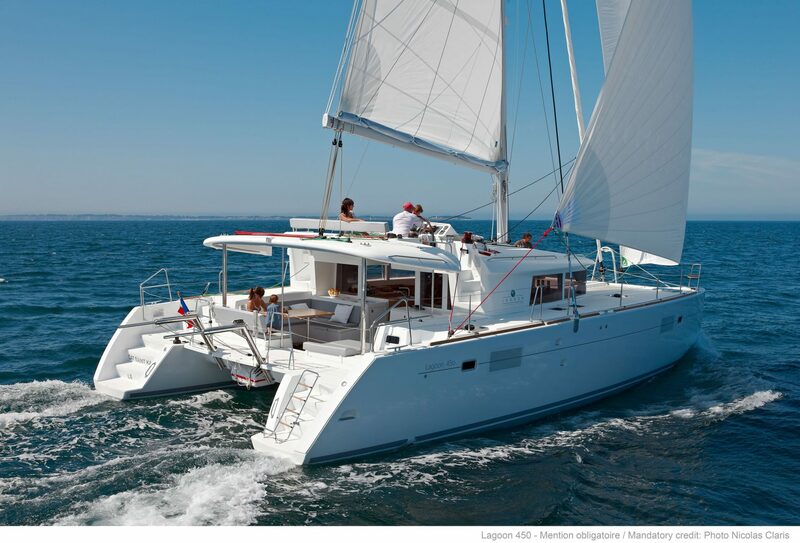 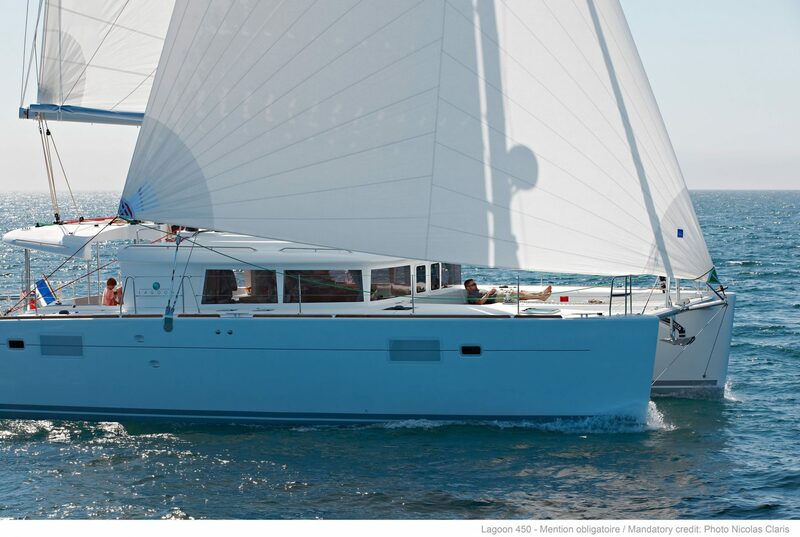 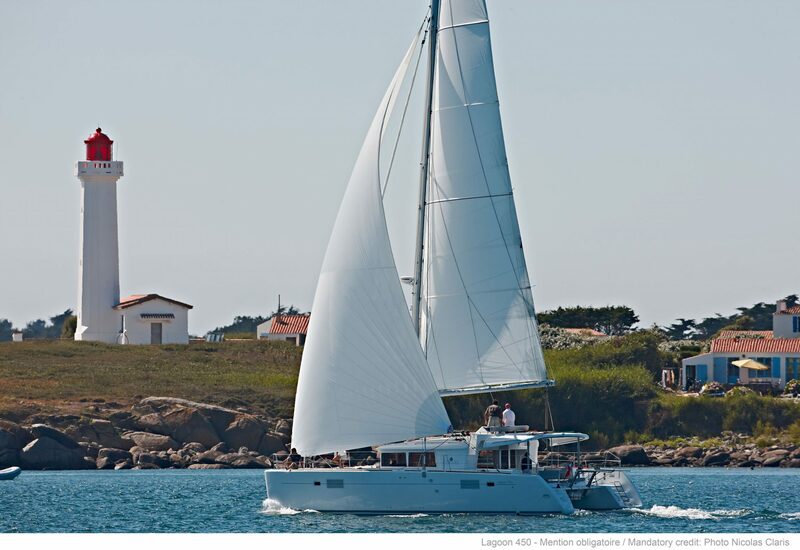 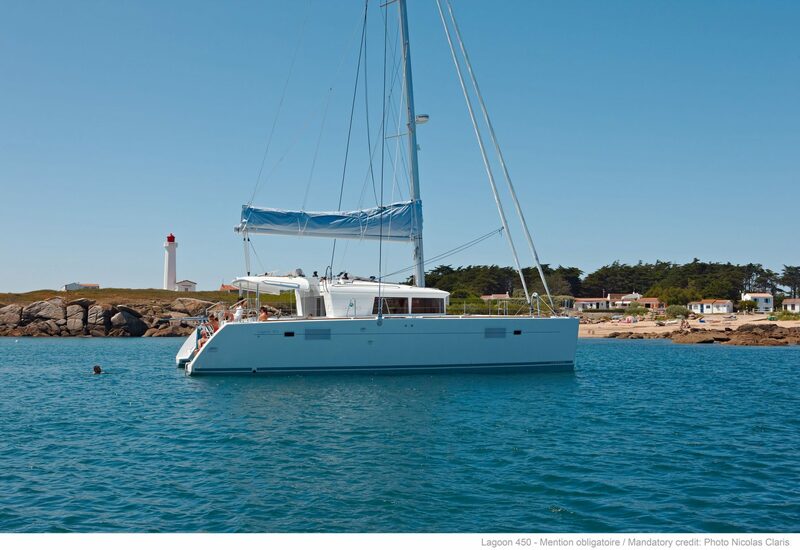 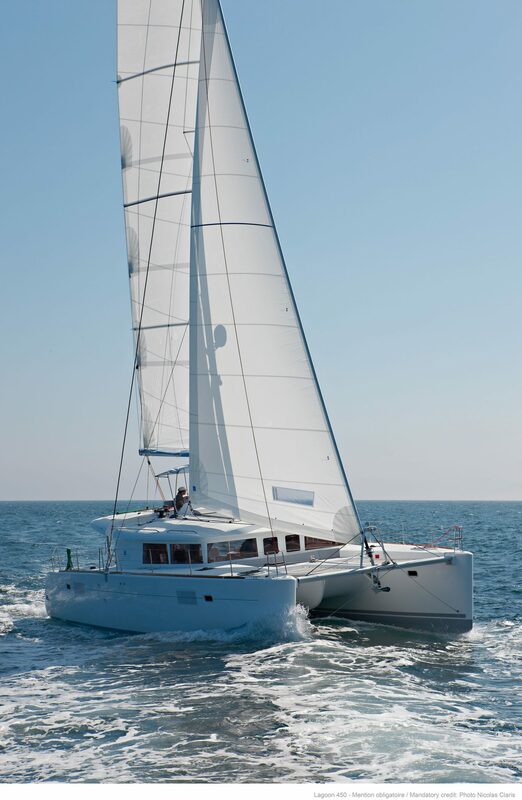 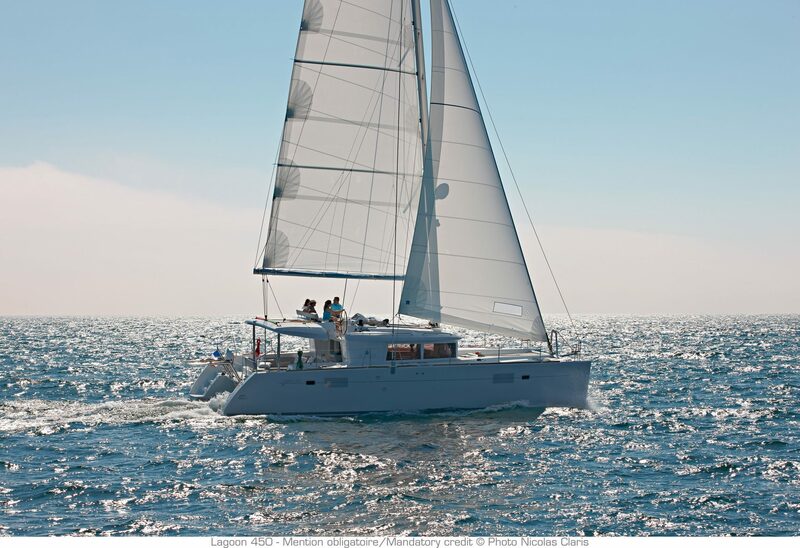 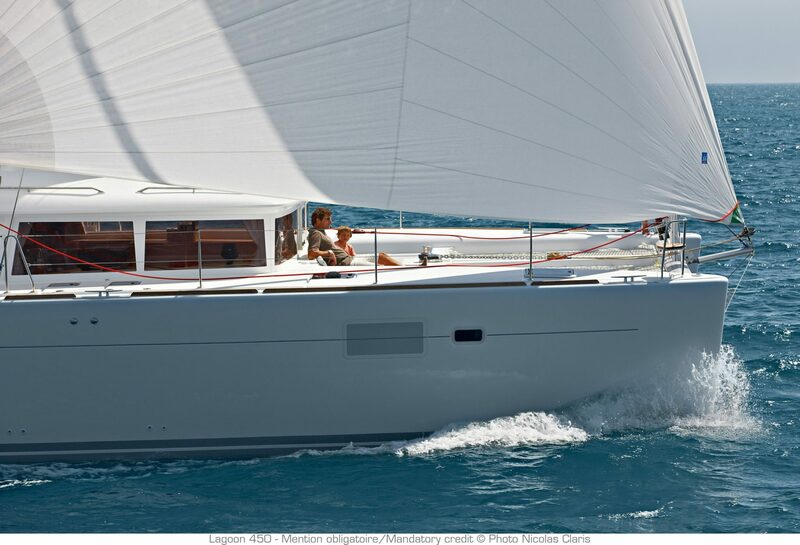 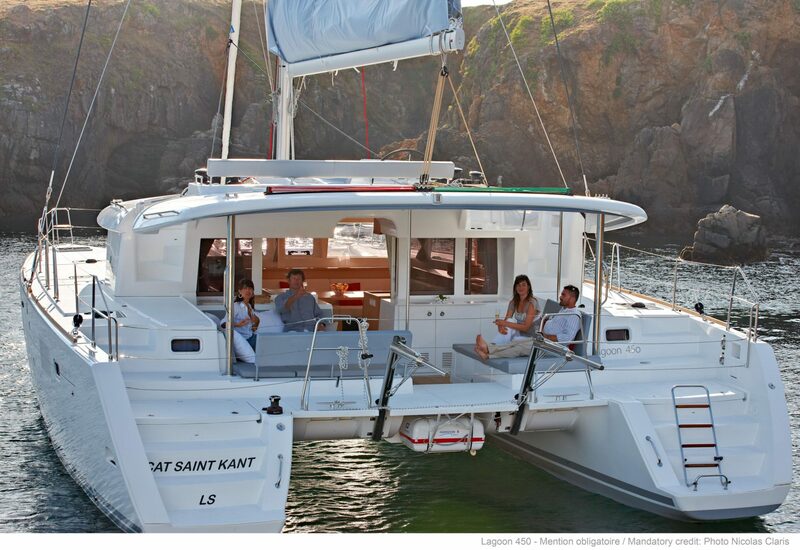 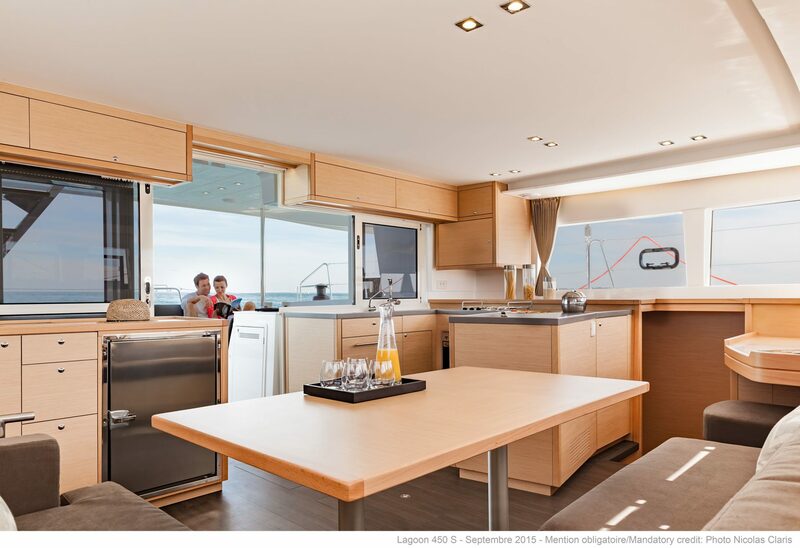 The Lagoon 450 Fly architects, together with Lagoon and the Nauta Design office, succeeded beautifully in developing a new 45’ catamaran to replace the famous Lagoon 440. 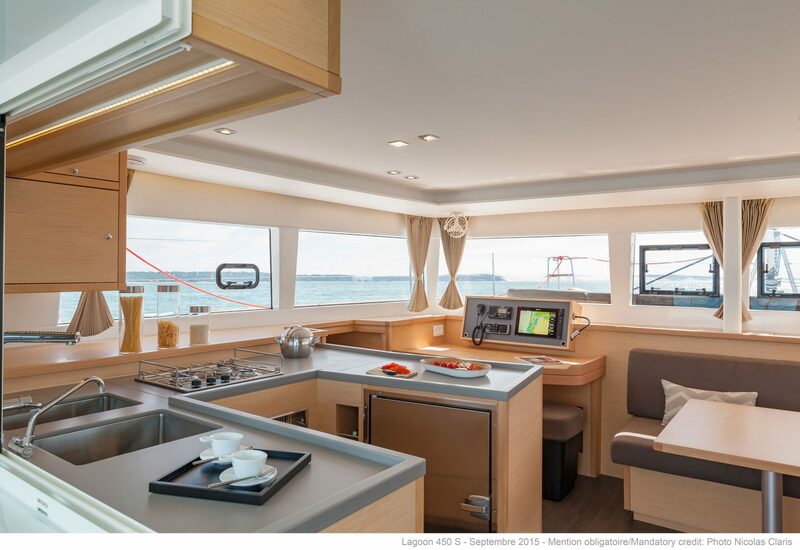 Of course, the irreplaceable qualities of the Lagoon 440 have been retained as a starting point: a steering station on the fly-bridge accessible from both sides of the cockpit, a forward cockpit, performance under sail … and an incomparable comfort in the saloon and the cabins. 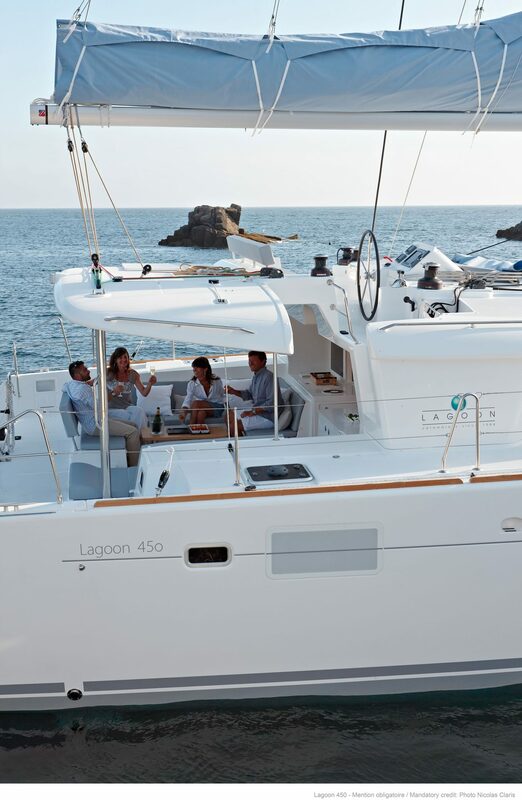 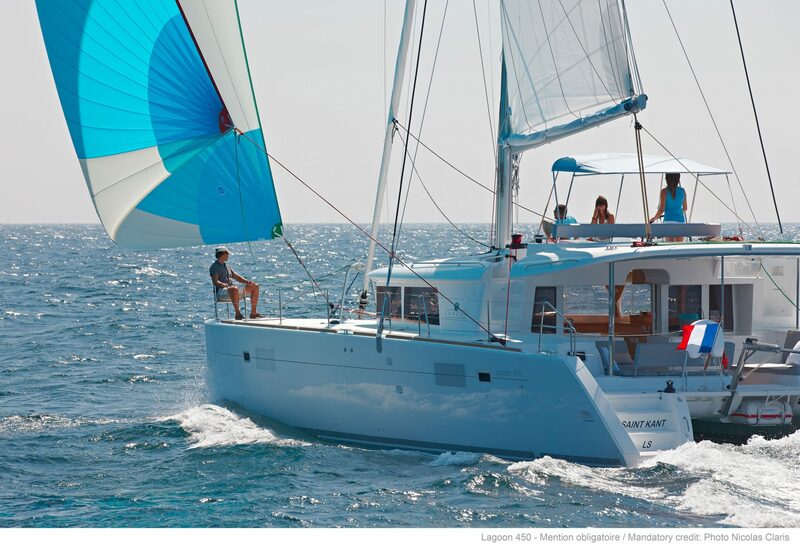 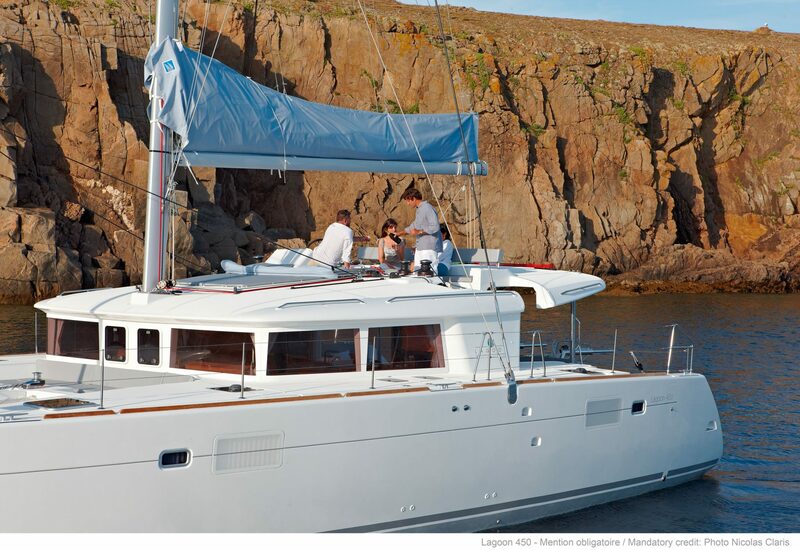 Larger and with a bigger sail area, the 450 F is offered as a 4 cabin version with 4 heads plus 2 dinette places and 2 bow cabins. 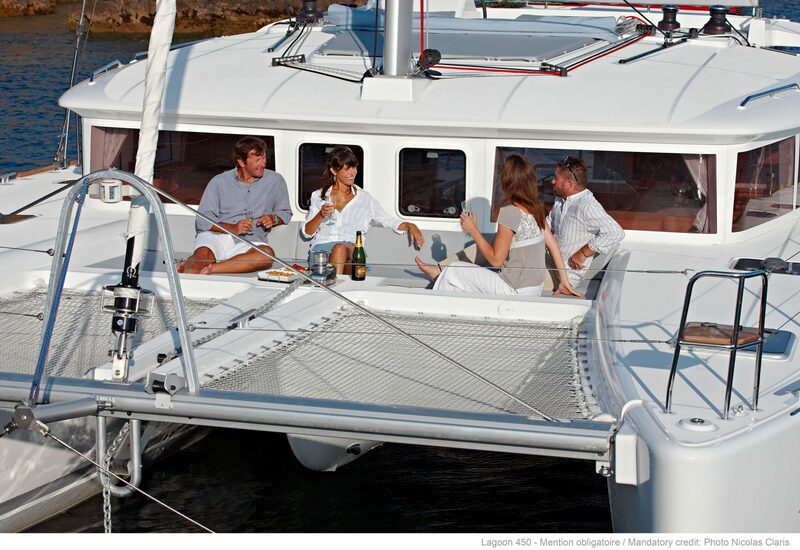 A steering station on the fly bridge with safe access from both sides for perfect visibility and a large sunbathing area. 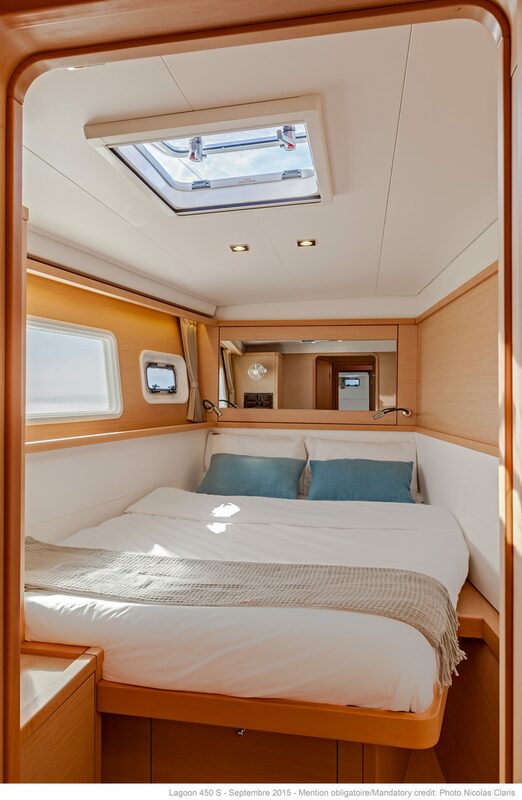 A spacious cockpit, again ideal for sunbathing, on the same level as the galley, with a ventilation panel. 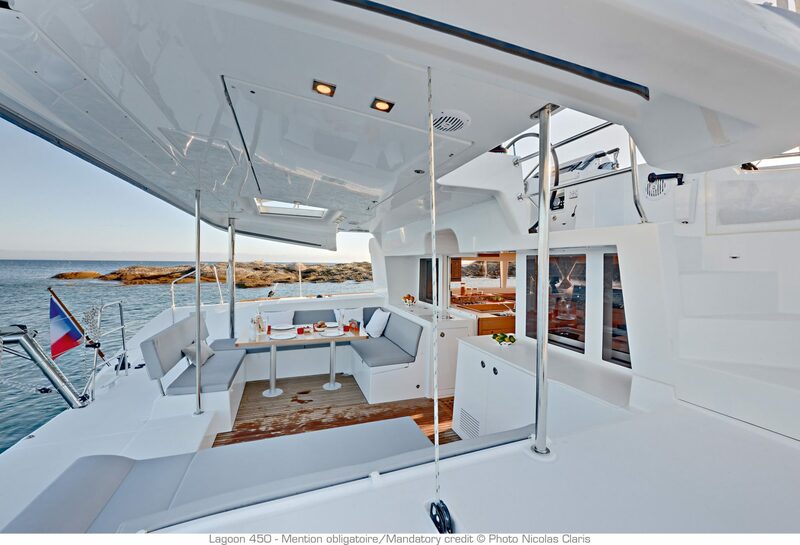 A second cockpit, making best use of the forward area. 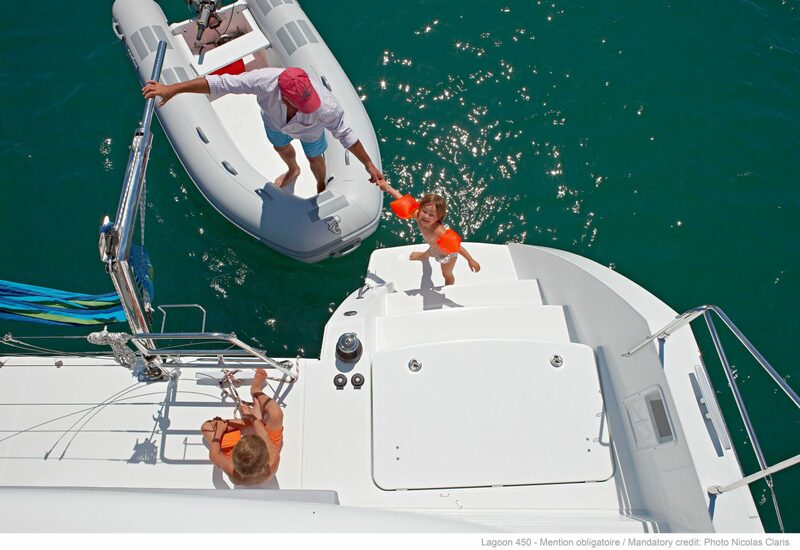 Particularly safe and effective transom platforms for coming aboard or accessing the tender. 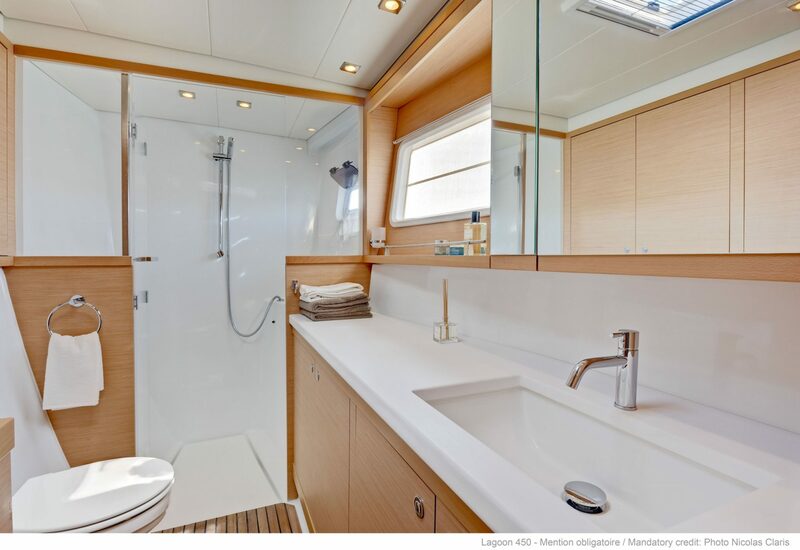 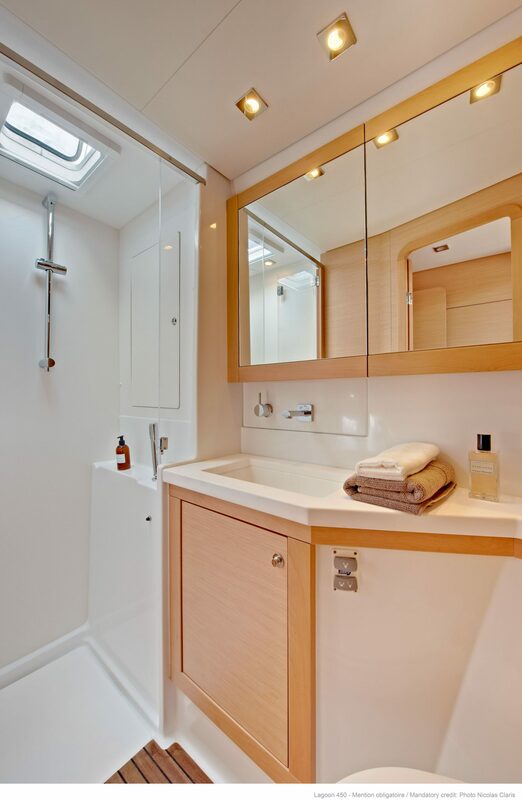 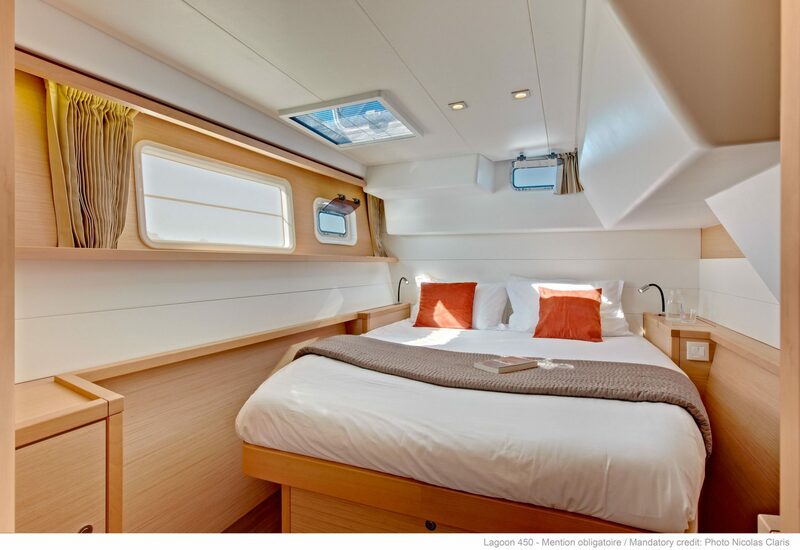 Interior design by Nauta: elegance and functionality saloon and cabins exceptionally well lit. 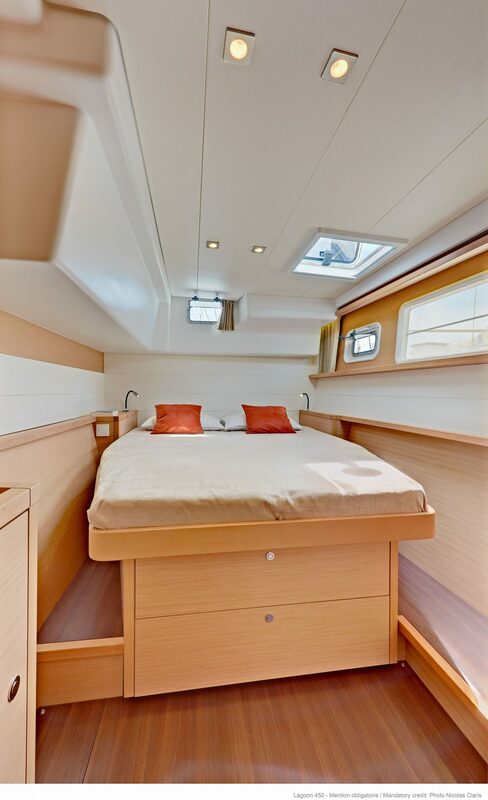 Comfortable guest cabins with a side access to the double bed. 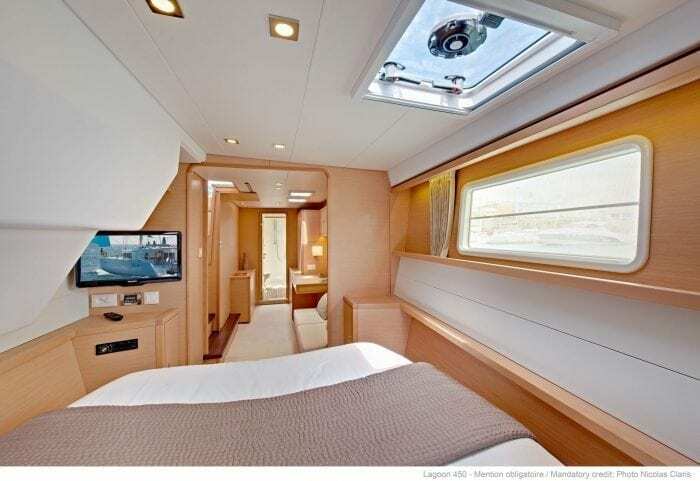 “U”-shaped galley for greater comfort at sea, equipped with large hot plates, broad work space and plenty of storage. 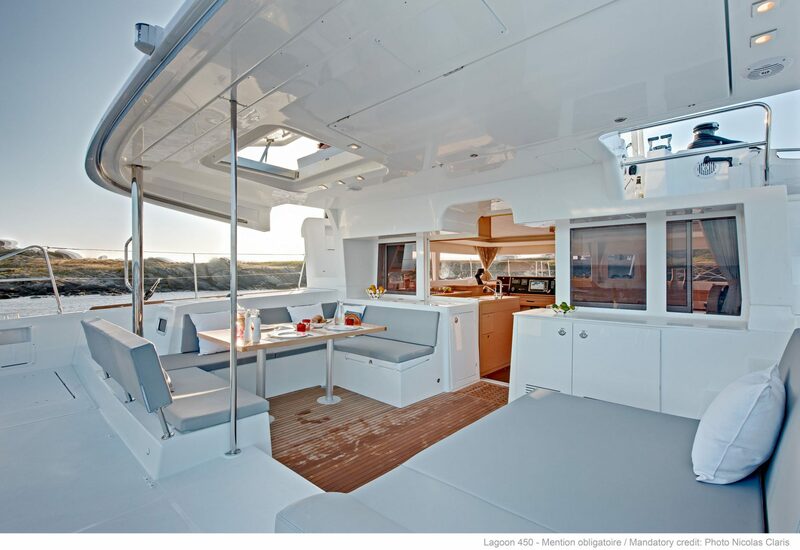 Optimization of the access between the cockpit and the galley engine compartments remote from the living areas and perfectly insulated. 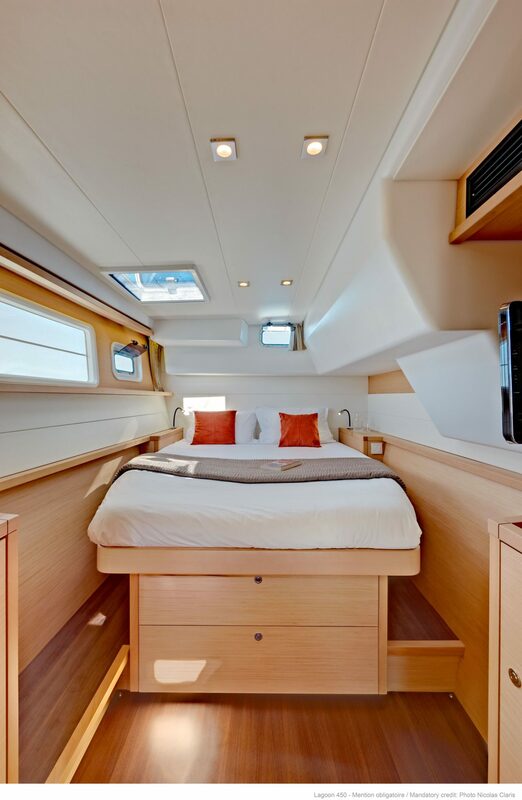 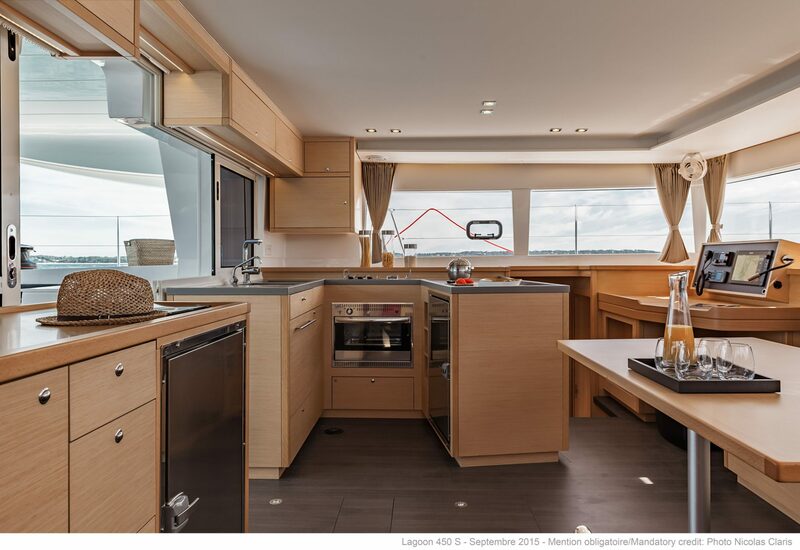 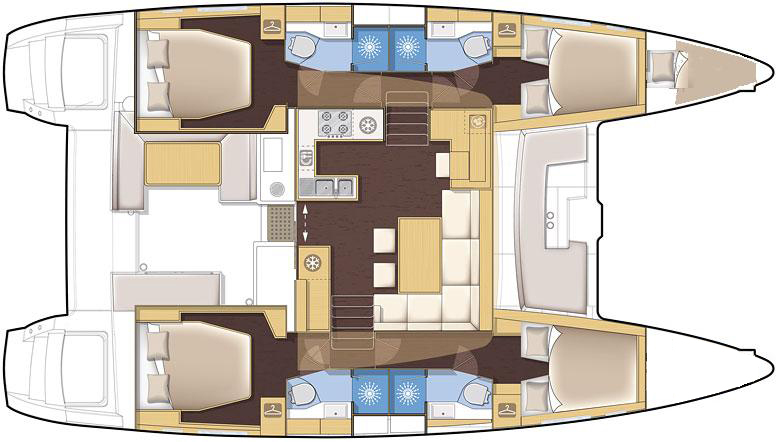 This brand new 450F has 4 cabins 4 heads, 2 dinette places and berths in both fore-peaks. 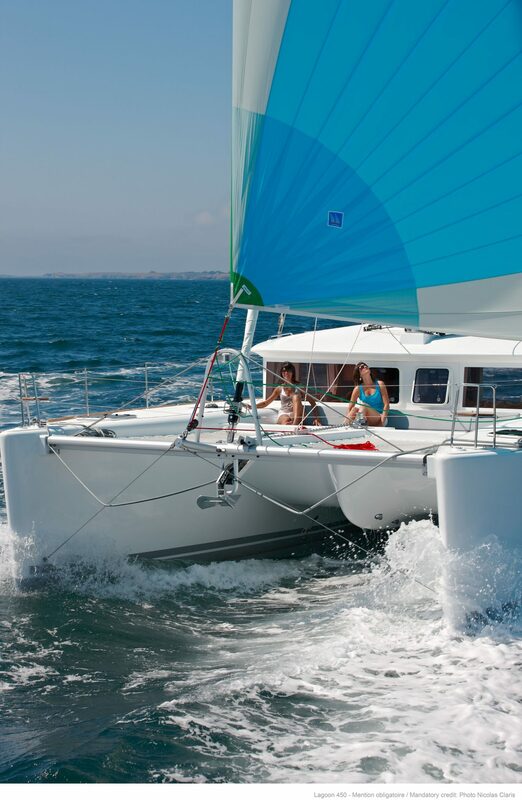 For RYA Training courses, Luxury charters, and other specialist holidays please email or call. 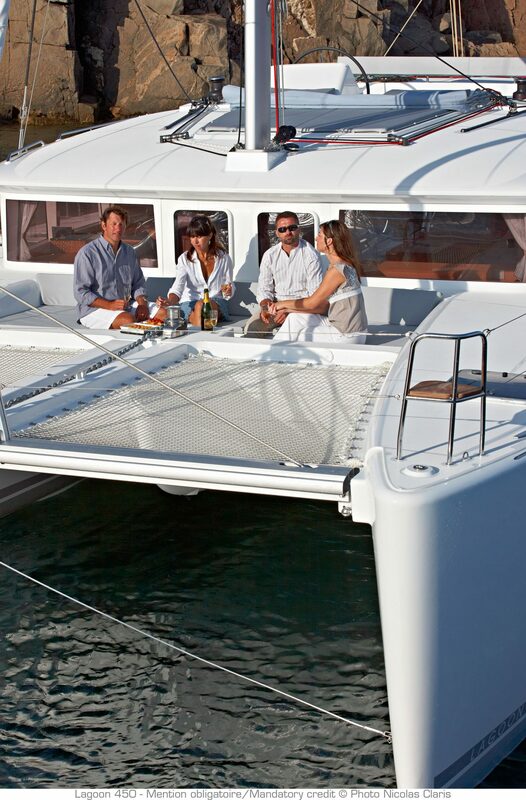 Yacht Charters can start on any day to match with your travel arrangements. 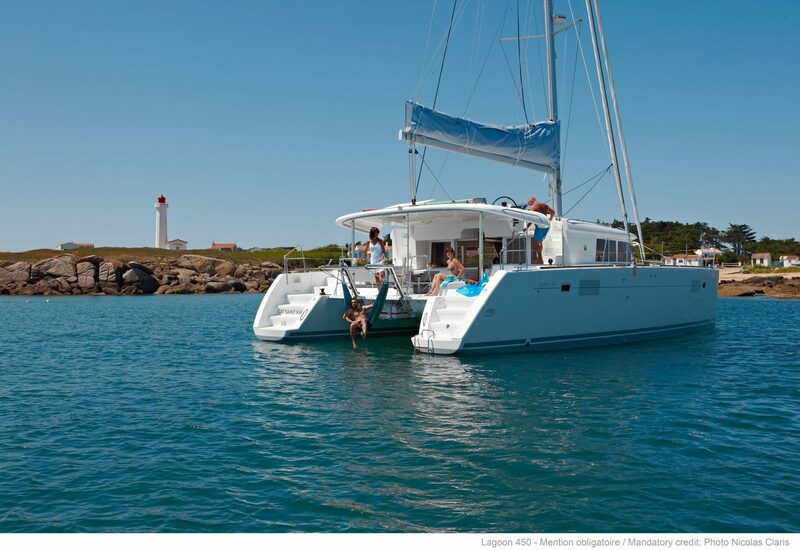 If you don't see a suitable holiday please enquire we may have other options available. 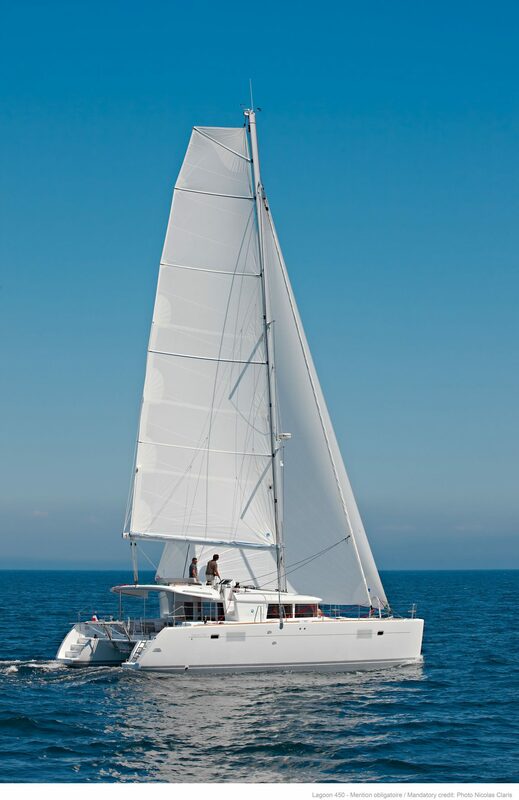 Payment can be accepted in USD, Sterling, or Euro. 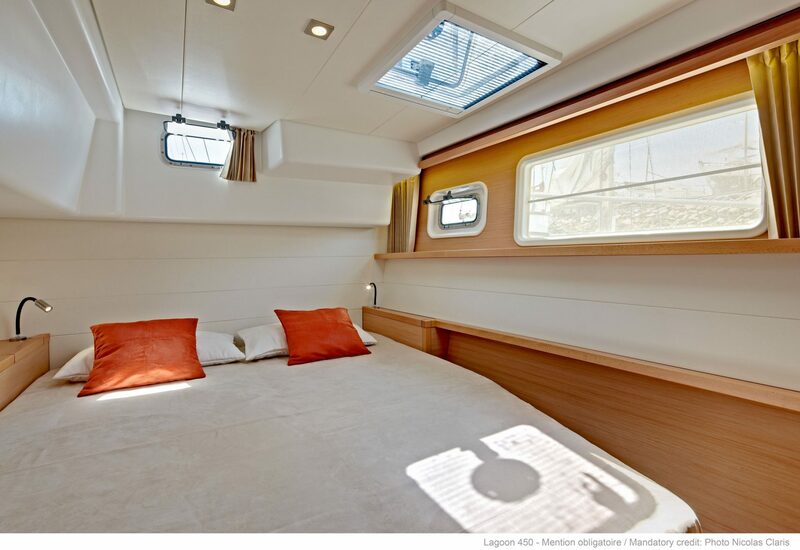 (Currency can't be changed once a holiday is booked). 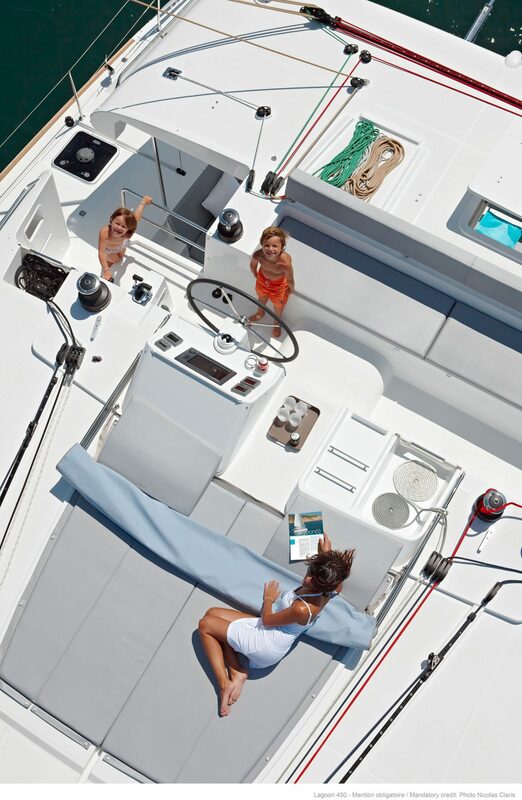 Any duration of holiday can be accommodated subject to yacht availability. 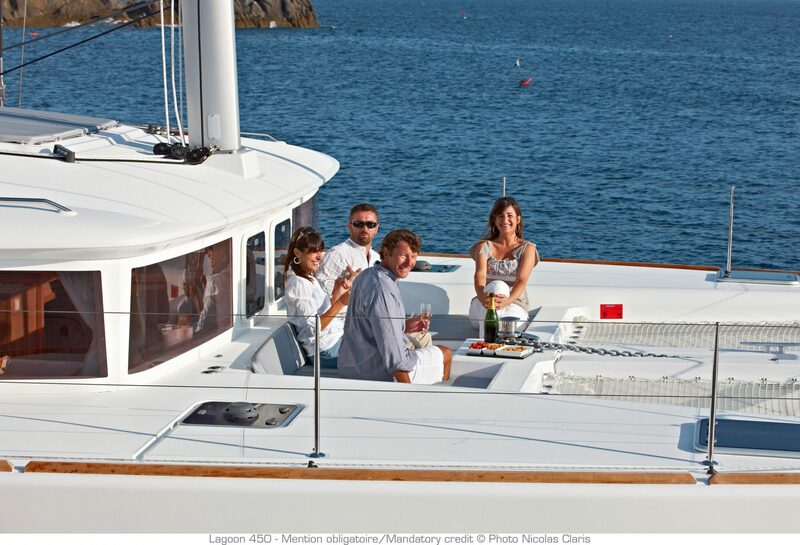 Additional days are normally charged pro rata.